As we know, there are 2pcs of crossing screws in the bottom of iPhone 6S Plus, which is used to lock the charging dock flex cable. If these 2 screws damaged, you need 2pcs Bottom Pentalobe Screw for iPhone 6S Plus parts to replacement. It is more firm and more strong. Congratulations, the Pentalobe Bottom Screws for iPhone 5 is replaced successfully. 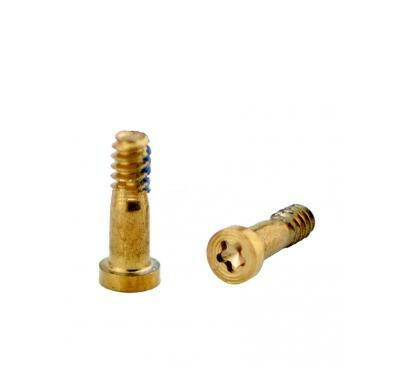 Looking for ideal Iphone 6S Plus Bottom Screw Manufacturer & supplier ? We has a wide selection at great prices to help you get creative. All the Iphone 6S Plus Pentalobe Screw are quality guaranteed. We are China Origin Factory of Iphone 6S Plus Pentalobe Screw. If you have any question, please feel free to contact us.